niftyji: Are you a rogue trader? Are you a rogue trader? So why do traders go rogue? To know what goes on in the mind of a rogue trader – and that of every reckless gambler – it helps to be a bird-watcher. 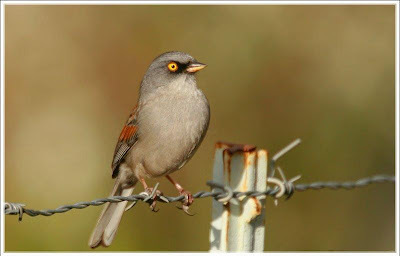 The yellow-eyed junco is a type of sparrow found in Mexico and the southern US. Thirty years ago, three evolutionary biologists at the University of Arizona carried out a series of experiments with seven yellow-eyed juncos which had been caught in the south-east of the state. The experiments were designed to test the birds’ gambling instincts, and the results were intriguing. Note: The artciles are not research reports but assimilation of information available on public domain and it should not be treated as a research report. Registration status with SEBI: I am not registered with SEBI under the (Research Analyst) regulations 2014 and as per clarifications provided by SEBI: “Any person who makes recommendation or offers an opinion concerning securities or public offers only through public media is not required to obtain registration as research analyst under RA Regulations” Disclosure: It is safe to assume that I might have the dkiscussed companies in my portfolio and hence my point of view can be biased.Readers should consult registered consultants before making any investments. Disclaimer: We are not responsible for any typing mistake or for estimation in up and down move in Nifty Index, BSE Sensex or any in India/abroad as well as for shares quote/non-quote in NSE, BSE or any Exchange in India/abroad. The investors/Brokers/ Institutions/ any others are themselves responsible for their decision/losses in sale and purchase of shares/Indexes/ futures/any others. The future analysis view or report for market trend/economy/ political or any is our estimation. We do not provide consultancy in business and these are our expectations up to best level from our side but results/output in any work/field will be depend upon circumstances/ situations as per decisions of our readers. We will not be held responsible for any plan/result/ outcome of any work and only reader will be held responsible for consequences and also in every decision. If your feel satisfied with our analysis in shares and daily Nifty; then we will be think our research is working in right direction. © All Rights Reserved. niftyji.com................................. Ethereal theme. Powered by Blogger.